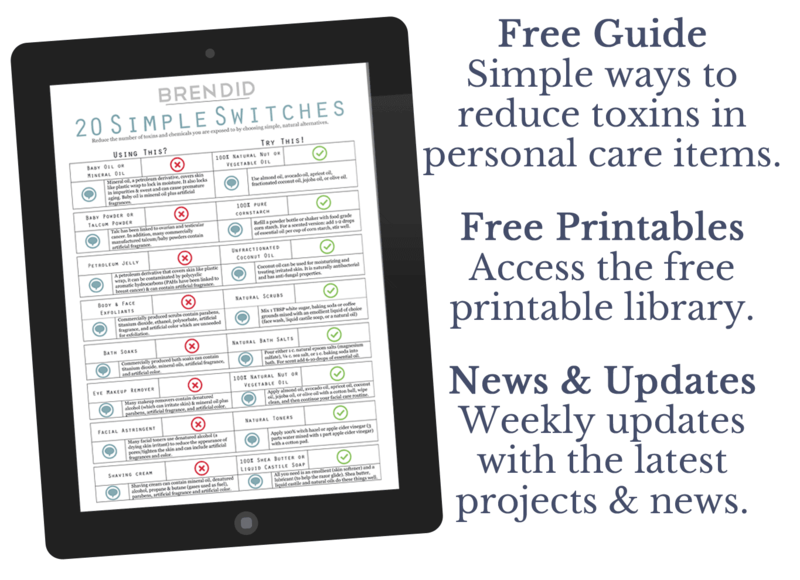 Learn how I successfully use tea tree oil to treat tinea pedis (athletes foot). I always treated athletes foot with over-the-counter anti-fungal products until a tough case did not respond for MONTHS. I substituted tea tree oil and the fungus was gone in DAYS! This post uses affiliate links. 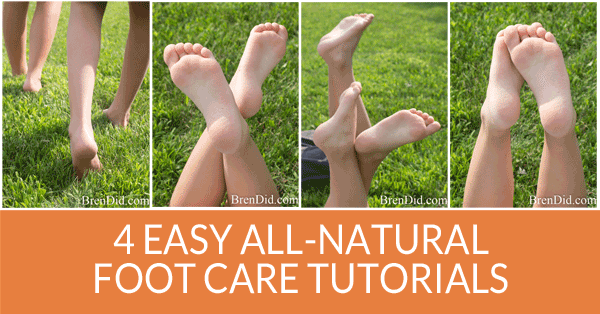 They don’t cost you a thing and help us bring you natural body care tutorials. Read more in Polices & Disclosures. Tinea pedis is a common fungus that thrives in warm humid conditions. It is contagious and easy to catch. The fungus is called athlete's foot because it is often spread by going barefoot in damp public places such as locker rooms or public pools. spread in your home shower or bathroom tile. There are a few people (I’m not naming any names!) in our family with sweaty feet and swimming hobbies that make tinea pedis a common occurrence in our home. When complaints of itchy feet or overly pink skin reached my ears I used to apply over-the-counter anti-fungal products such as Terbinafine or Clotrimazole that come in sprays and lotions. Then, thanks to a busy swimming schedule and a hot, humid summer the fungus kept going and going and going. We kept apply the creams and sprays for month, but the fungus was not eliminated. I decided that it could not be cured by the over the counter products. I began to look for a new solution…. but refused to subject my kids to a prescription for oral anti-fungal drugs (they can damage the kidneys/liver and often require blood tests). I investigated natural home remedies and decided to try tea tree oil. Tea tree oil, also known as melaleuca oil, is an essential oil taken from the leaves of the melaleuca alternifolia tree which is native to Australia. It has a strong odor, similar to a strong pine or eucalyptus odor with heavy herbal notes. 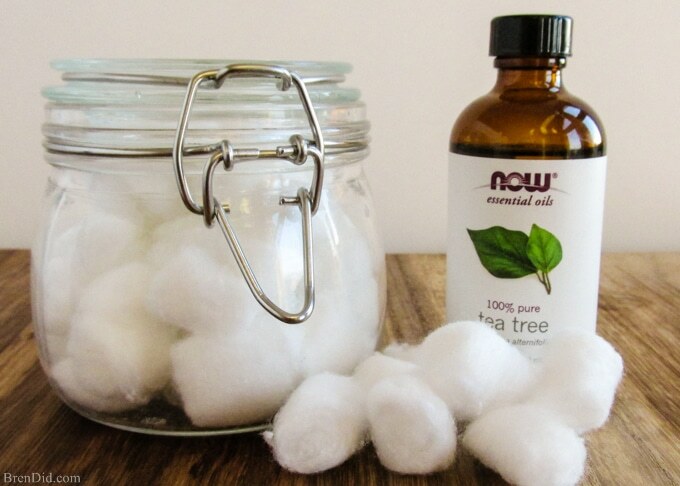 Tea tree oil has been used in Australia for thousands of years to treat skin infections. It was first used by Indigenous Australians (Aboriginal people). Australian doctors began to use the oil in the 1920a and it soon became a common home remedy for fungal infections and other skin conditions. Tea tree oil was even included in first-aid kits given to Australian soldiers and sailors during WWII. According to the American Cancer Society, more recent laboratory experiments suggest that tea tree oil can work as an antiseptic when used on the skin to kill germs (including those that are resistant to other antibiotics) and tea tree oil may be helpful in treating some types of fungus. 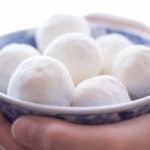 Place 5 drops of Almond Oil (or carrier oil of choice) on a cotton ball. Top the carrier oil with 5 drops of Tea Tree Oil. Rub the cotton ball on a affected areas and surrounding areas. Cover feet with clean cotton socks. Apply 2 time daily, changing to clean socks each time. A pre-made mixture of 1/2 tea tree oil and 1/2 carrier oil in a dark glass dropper bottle can also be applied to feet. We have had NO athlete’s foot in 4 months. Hooray! Clean all shoes – I wash /spray the shoes of the affected individuals using a mix of ½ cup vinegar, ½ cup vodka and 10 drops of tea tree oil. (add eucalyptus or lavender essential oils to mask the tea tree odor). Spray the feet – I make a solution of vodka, water and tea tree oil to spray on feet and kill the fungus before it takes hold. We use it after we have been at the pool or in a locker room. It aslo makes a great deodorizer, get the foot spray recipe here. Tea tree oil should NEVER be taken internally! Like my natural body care tutorials? Sign up for my newletter below and never miss a thing! I cannot THANK YOU enough!!!!!!! My husband had developed the same conditions and his skin was cracking and peeling and no amount of over the counter treatments worked. The tea tree oil really was the ONLY thing that worked and in only 3 days too!!!! I soaked his feet in warm water with epsom salt too. Thank you so much for fixing this problem. This post has helped us tremendously after years of search for a cure for a recurring problem! I’ve now finally seen his skin heal and it’s all thanks to your post! So grateful. Woo hooo! So glad it helped! Hi Bren! 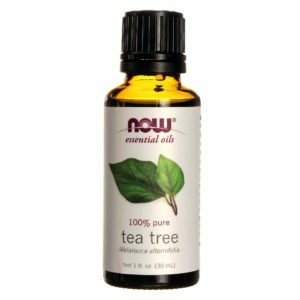 I’ve never used tea tree oil before and would like to try this to rid my athletes foot. 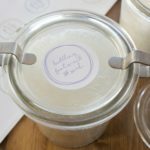 Could I use coconut oil? Do I make a paste of this or just the cotton ball soaked with coconut and tea tree oil? How many drops should I use? Would it be best to try on my hand to see if I have a reaction? Also for the spray do you use Apple cider vinegar or distilled vinegar with vodka and tea tree oil? Is this effective to spray in the shower to rod the fungi and if you have mold? 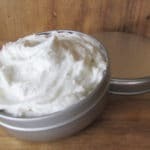 You could make a paste with coconut oil or use olive oil (or another liquid vegetable oil in your cupboard). I would recommend an overnight spot test. I use vodka, water and tea tree in my foot spray (recipe here: https://brendid.com/no-more-stinky-feet-spray/). I use this spray to clean the shower: https://brendid.com/non-toxic-no-scrub-shower-cleaner/. Hope this helps! Thanks, Bren! 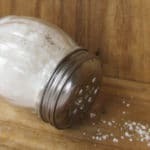 Can I still do the apple cider vinegar soak? Wash my feet after with water then use the coconut and tea tree oil? How many tablespoons of coconut or olive oil do I use? Or do you think both would be too acidic to do at the same time? When you had athlete’s foot did you just use the carrier oil with tea tree or both? Does it really work in 4 days? Hello! So glad I found this! I’m trying the tea tree oil tonight. My question is do you have to use a carrier oil? Or can you use straight tea tree oil so it would be more potent?? I have done it both way but you should definitely us a carrier oil until you know how the tea tree oil reacts on your skin. Hi Bren, you wrote this article a few years back. I was wondering, did you finally stop athlete’s foot for good ? With the heat in the summer it is easier for the fungus to flare up. did you get athlete’s foot this Summer or you managed to be fungus free the whole summer ? Yes, we got the athlete’s foot eliminated… and haven’t had any return for a few years! (At the first sign of itchy toes I slap on a little tea tree oil to be extra cautious.) Hope it works for you! According to my Dr., I have a fungus on the bottom of my heel ( hard like a callus, but very tender and sore). He prescribed an “anti-fungal” cream to apply, but doesn’t seem to be helping. Am wondering if the tea tree oil might be a solution to help relieve this “so called” fungus? Any advise is greatly appreciated! Thank you. I can’t give any medical advice because I am not a doctor! 😉 Check out this information from Consumer Reports which says that tea tree oil may be helpful in treating some types of fungus. Could you substitute rubbing alcohol for the vodka? Thanks! Dave, rubbing alcohol can be used however I prefer to avoid it because it contains artificial ingredients. (Rubbing alcohol is ethanol, water, acetone, methyl isobutyl ketone, flavoring to make it taste bad and/or artificial coloring and artificial fragrance.) In addition, rubbing alcohol smells bad when sprayed and the vodka is almost odorless. Hope this helps!